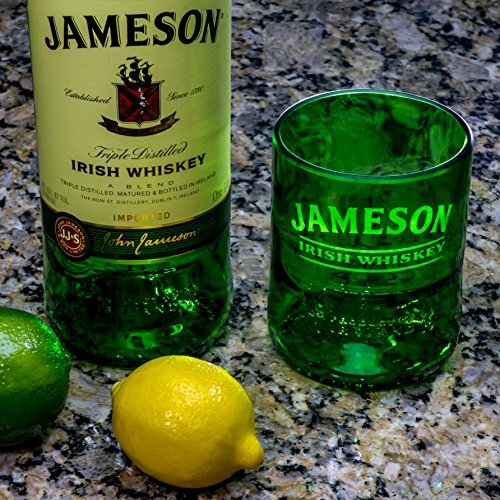 When you really want to WOW someone, this is definitely the glass that will do it! Surprise your loved one with the gift he/she will use often and will cherish forever. 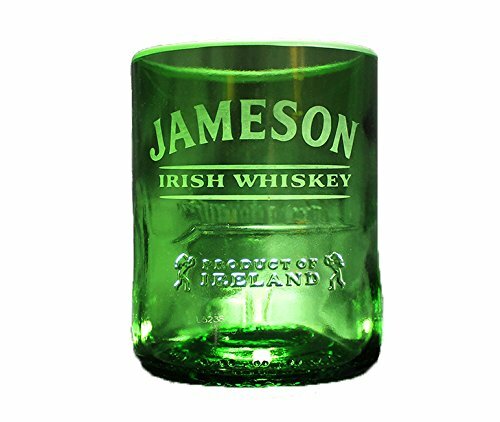 This dishwasher safe premium Jameson Whiskey rocks glass is handcrafted in the USA from an authentic 1 liter Jameson Whiskey bottle. 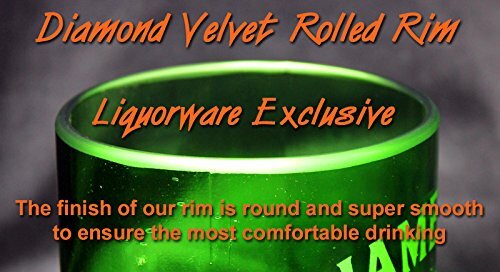 Our proprietary Diamond Velvet Rolled Rim sets our glasses apart from all other upcycled glasses and ensures the most comfortable drinking.